Sometimes, the best telescopes on Earth need a little help making their observations more meaningful. NASA announced yesterday that it had decided to fund the Imaging X-ray Polarimetry Explorer (IXPE, pronounced ix-pee) mission, a polarized X-ray telescope, to help the bigger telescopes explore some of space’s strangest phenomena—including the dead remains of exploded stars and galactic lighthouses called pulsars. 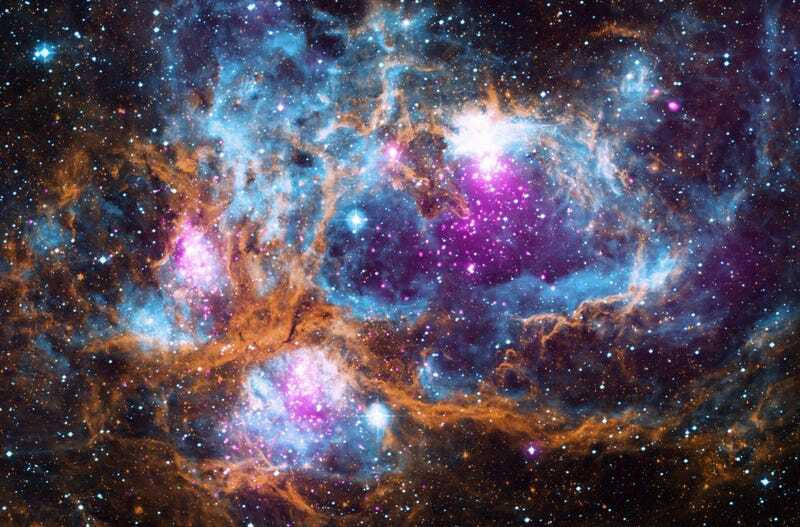 NASA already has some stellar X-ray telescopes, most notably the Chandra X-Ray Observatory. The IXPE, however, is special in that it measures polarized X-rays. Light rays are usually unpolarized, meaning the vibrations of the waves happen in many different directions. Polarization realigns the vibrations in a specific direction or set of directions—for instance, up-and-down or in a circle. No other NASA telescope can analyze these specific organized rays, Paul Hertz, Director of the Astrophysics Division in the Science Mission Directorate at NASA, told Gizmodo. IXPE isn’t going to produce hyper-crisp images like Chandra does. “It’s much blurrier,” said Hertz. Instead, IXPE will add specific details that Chandra can’t see around some of the weirdest objects in space. The telescope, which is scheduled to launch in 2020, is much cheaper, priced at a comparatively budget $188 million, compared to the billions that funded Chandra. Its funding comes from the Explorers program, which is kind of like NASA Shark Tank, allowing scientists to apply for NASA funding and resources for smaller space-based science missions. How Do Black Holes Shape Their Galaxies? Black holes are masses so dense that even light can’t escape the pull of their gravity. Their powerful gravity also affects the things orbiting them, which can create X-rays that can still reach us. Chandra took this picture of Sagittarius A, the supermassive black hole at the center of our own Milky Way galaxy—the brightest orange region at the exact center of the image represents the light surrounding the black hole. Note that the image shows the X-rays converted into the colors of visible light, and not what we humans would actually see. What’s Up With These Massive Stellar Magnets? Pulsars are a type of rotating neutron star—another incredibly dense object that distorts the space around it that results from a collapsing star. Pulsars also have strong magnetic fields, and emit beams of radiation as they spin, kind of like a lighthouse. The pulsar in the image above sits at the exact center of the Crab Nebula, the remnant of a supernova. “There’s a debate among astronomers about what the shape of the magnetic field is” surrounding the pulsar, said Hertz. “The different theories... give rise to different polarization signals.” IXPE will help scientists understand which theory is correct. Understanding pulsars better is very important to astronomers; the spinning masses make incredibly accurate clocks, so their regular blinking as they rotate helps us measure the vast distances of space. How and Why Do Stars Explode? Supernovae, stars that have died explosively, leave behind hot glowing remnants of X-rays, like this image taken by Chandra. Unlike pulsars and black holes, the X-rays don’t stem from a single source, but from an extended field.